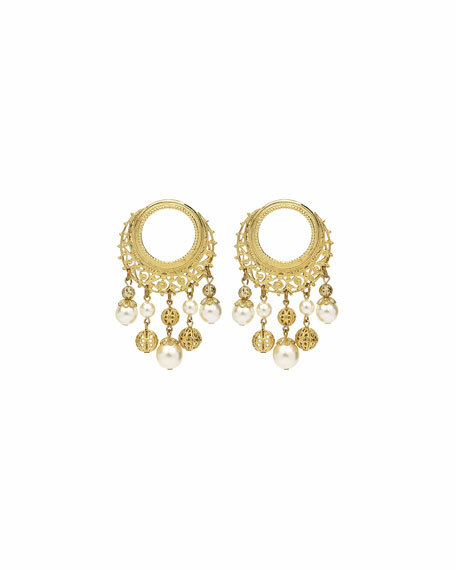 Ben-Amun round filigreed drop earrings. Open frame with clear glass crystals. Multi-size round pearly glass beads.